Open floor plan, vaulted ceilings, neutrally decorated, immaculately maintained, 3 Bedroom, 2.5 Bathroom home on a beautiful cul-de-sac lot, with a full, finished, Basement plus large Bonus Room. A handsome paver walk welcomes you the front porch of this wonderful home. The two story entry foyer with gleaming hardwood floors, opens to the sunny and spacious, Great Room with stone, gas fireplace, vaulted ceiling, skylights, open to the second floor and access to the oversize trex deck overlooking the private yard. An open floor plan to the gourmet Kitchen that features a large island with seating, pendant lighting, tile backsplash, upgraded gas range, and a big Dining Area with walls of windows. A private Master Bedroom suite, with a luxurious Master Bath with porcelain tile that has a shower, cast iron soaking tub, and double vanity, also has an oversized walk-in closet. The Laundry/Mud room in from two car Garage access and a Powder Room complete this level. Upstairs are two generous bedrooms, a full hall Bath, and big finished Bonus Room with bamboo flooring that can easily be a 4th Bedroom, or Office. A huge above grade finished basement, is full of light and amazing space for family gatherings, movies, or games. Large, dry, unfinished space is perfect for storage. This home has been gently lived in, and is truly move-in ready. Outside is your own Longwood Gardens that has been lovingly planted, and maintained with amazing perennial gardens. 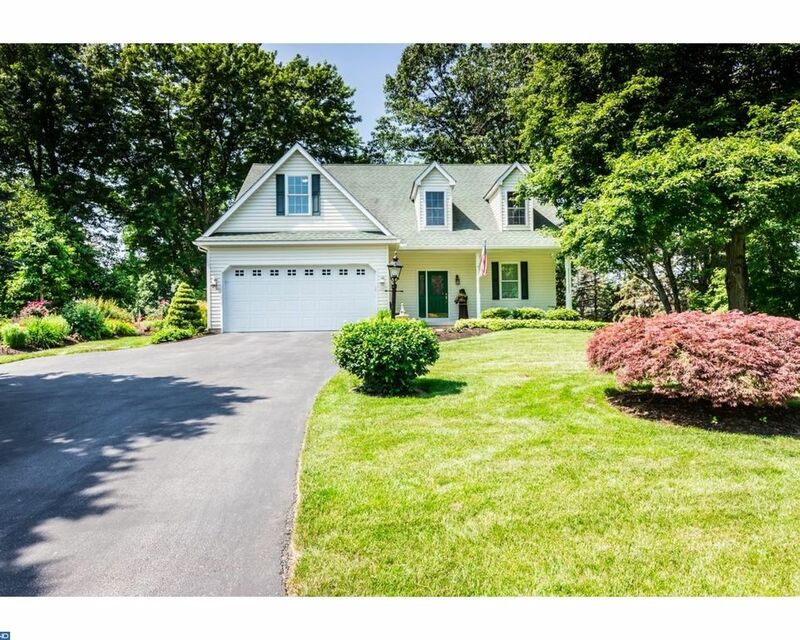 Conveniently located in award winning Downingtown schools, shopping, and major highways, yet tucked away in this small, quiet, neighborhood. Only downsize makes this property available.